Stonetastic leads the field home in the 2014 Prioress Stakes. People ask me all the time why I think pace analysis represents the last frontier of thoroughbred handicapping (OK, maybe not in those exact words, but you get the picture) and my answer is always the same: because it is typically misunderstood. 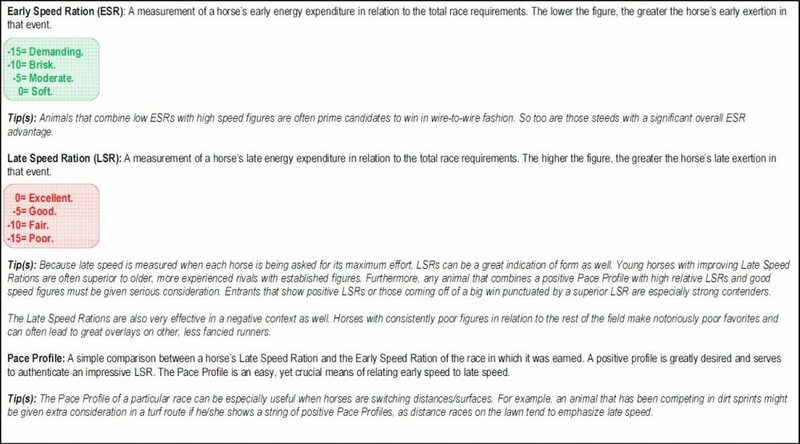 When we look at a speed figure, the meaning is clear: the higher or lower the number, the faster or slower the horse ran on the day in question — simple, clear and concise, with little to no room for interpretation (at least in regard to the number itself). Sole best last-race Brisnet speed figure. Last race less than 60 days old. While these digits are a little better than one might expect from simply playing the post-time favorite, they are a long way from profitable. What’s more, the average winning payoff of $5.60 — 9/5 odds — is yet another indication that the betting public is well aware of the pari-mutuel punch that speed figures pack. Although not as predictive as speed figures — few single factors outside of odds are — it is readily apparent that LSRs, my own measurement of late energy disbursement, take one much further down the path of profitability, with a $1.84 net return and an average win mutual of $8.24. And, unlike speed figures, these numbers only get better as more pertinent factors are added. Best last-race LSR of -5 or greater. Not surprisingly, this same requirement does not produce a profit with speed figures — not even close. Best last-race Brisnet speed figure. Of course, I understand that, at this point, many of you are probably annoyed with me. I mean, what good does it do to point out the lack of merit in speed figures, which are widely available, while extolling the virtues of my own pace figures, which are not? Please don’t look at it that way. I use my own pace figures because they are unique and I like them better than the other, commercial products out there. However, the broader point here is this: To make a (consistent) profit playing the ponies, you must utilize tools and techniques that are not widely known or easily duplicated by the public. Pace figures — and I’m very partial to those that measure energy or effort rather than speed (think Tom Brohamer’s energy pars from “Modern Pace Handicapping”) — give players an edge in large part because they are not as cut and dried as speed ratings. Stonetastic ran fourth as the 1-5 favorite in a seven-furlong allowance race at Parx on June 19, 2016. Speed figure advocates and class handicappers were surely turned off by this disappointing result, especially since the daughter of Mizzen Mist had just finished second in the Grade I Humana Distaff at Churchill Downs on Kentucky Derby Day. Stonetastic was hounded by Disco Chick (who finished last, by the way) through a :21.57 opening quarter in that June 19 affair, resulting in a -14 early speed ration (ESR) — by far the most taxing of Stonetastic’s career. As a result, she was running on fumes down the lane… yet was only beaten by 3 ¾ lengths. With the return of regular rider Paco Lopez, who was at Monmouth Park to ride Awesome Slew in the Grade III Pegasus Stakes when Stonetastic was faltering in Philly, and a more reasonable pace scenario next time, I would expect the Kelly Breen trainee to return to form at what might be a decent price (depending on the competition she faces, of course) in her next outing. The views and opinions expressed herein are those of the author and do not necessarily state or reflect those of US Racing. 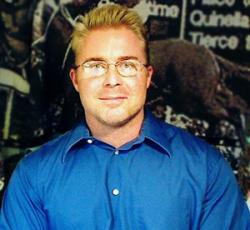 Trainer Profile: Clifford Sise Jr.